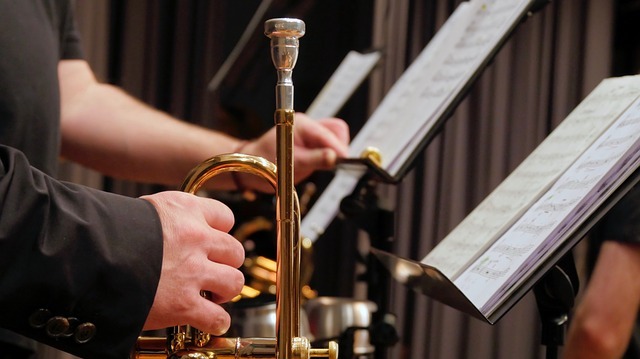 If you have a brass musical instrument that you love, you know that one of the most important things about owning brass is proper care and maintenance. What’s the best way to take care of your precious brass instruments? Fill your bathtub with warm water. Add soap. Simple dish soap is fine. Just make sure you don’t add a cleanser with bleach when cleaning your instrument. Make sure to separate the instrument into all of its parts: valves, screws, nuts and all. If there is any fabric in your instrument, remove it and set it aside. Submerge the main section of the instrument in the water. Clean all the small parts of the horn thoroughly. Get inside the valves with a valve brush. You can find specific cleaning implements for most parts of a horn, such as a mouthpiece brush and a cleaning snake for the main section. Dry the instrument thoroughly. You can even use an air compressor to blow dry your instrument if you like. Towel drying should also work. You can polish any streaks at the end with a polishing cloth. Once the instrument is dry, you’ll need to lube the moving parts. Apply tuning slide grease to the slide and valve oil to the valves. Reassemble the instrument and clean off excess oil or grease with a towel. You should always tune your brass after cleaning to make sure it has the right sound. You should clean out your brass instrument once a month and the mouthpiece once a week. Cleaning your brass is not only the sanitary decision, but it will also likely make your instrument look and sound better and increase its life. Other ways to protect your brass and avoid trips to the repair shop include always putting your instrument in a sturdy case when you’re not using it and storing that case in a safe place. Avoid subjecting your stored instrument to extreme temperatures like a hot car or outside in the winter. Brush your teeth and do not eat right before playing to avoid getting food particle buildup in your instrument. And don’t let untrained people play around with it. If you follow these rules, you and your instrument should enjoy many happy playing sessions together. If you’re looking to buy musical instruments, Record Head has one of the best selections of brass musical instruments in the Milwaukee area. Come on down to our store at 7045 West Greenfield Avenue in West Allis, WI, where you’ll find great instruments at great prices right now.